Bouquet "Red and White". 【SLAVIC GIRLS (WOMEN)】, ukraine girls your brides, russian girl for marriage..
White color means purity and innocence while red one represents passion and love. Let your beloved know how genuine and strong your feelings are. Beautiful composition of roses and chrysanthemums will lift her spirit and show her how much you care. 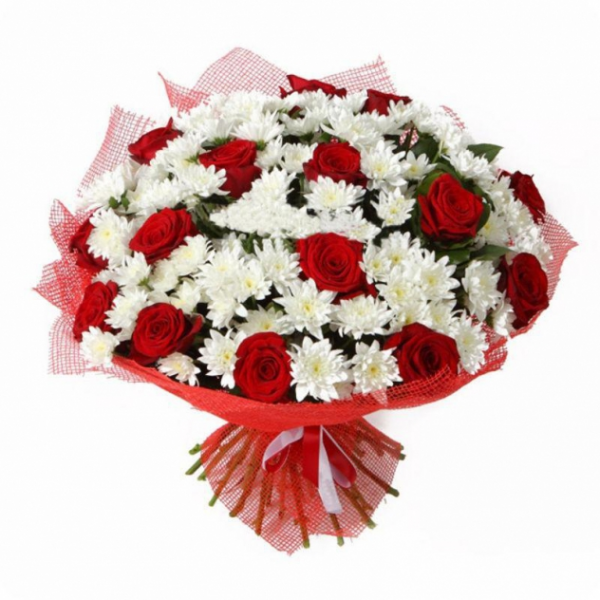 The flower arrangement consists of 15 red roses, 8 branches of white chrysanthemum and decorations.